Unless you were hiding under a rock throughout 2017 (and we wouldn't necessarily blame you), you're probably familiar with Donald Trump's seemingly frenzied use of Twitter as his personal and political bullhorn. Over the last year, by way of the social networking service, he announced his intention to ban transgender individuals from the military (as reported by Time) and seemingly admitted to obstruction of justice in an FBI investigation (per Mashable)—to highlight but two of his unfiltered Twitter edicts. In what is surely an alarming start to 2018, our commander in chief got in a nuclear-warhead-measuring contest with North Korean dictator Kim Jong Un on Tuesday (via CNN). The amendment to which Armstrong refers, of course, pertains to the succession to the presidency in the case of a vacancy, and it also addresses government response to presidential disabilities. 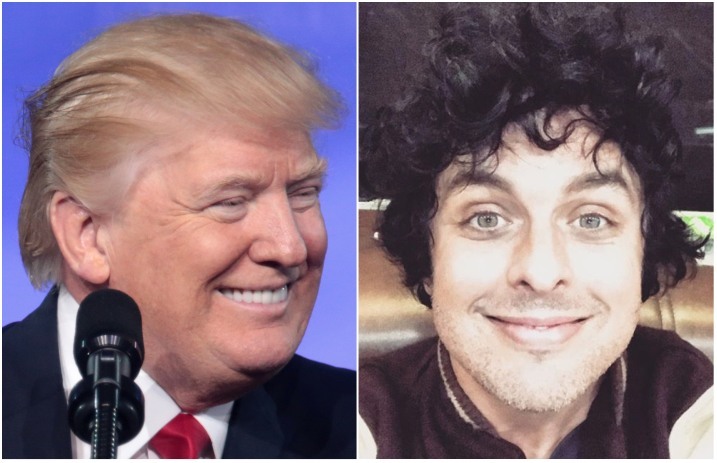 As pointed out by Loudwire, Section 4 of the amendment details the process of removing a sitting president from office if a group of certain government officials decides he is “unable to discharge the powers and duties of his office.” The Green Day singer and guitarist appeals to this notion specifically, writing, “This man is sick and unfit for office. I don't care if you're liberal or conservative… this has to stop,” appending to his post the hashtag, #ImpeachTrump. Welcome to a new kind of tension, folks. Armstrong doesn't wanna be an American idiot, living in a land where everything isn't meant to be okay. Read Trump's tweet, followed by Armstrong's Instagram post, below.